New legislation in the U.S. Senate would outlaw most third-party charges on wireline telephone bills in an effort to combat unauthorized billing tacked onto bills, a common practice called cramming. 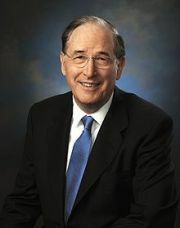 Senator John "Jay" Rockefeller, a West Virginia Democrat, introduced the Fair Telephone Billing Act on Wednesday, he announced. The bill would prohibit any telephone carrier or VoIP (voice over Internet Protocol) provider from placing any third-party charges on a customer's bill, unless the change is for a telephone-related service, like long distance or collect calls, or for a bundled service, like satellite television service. The bill follows a year-long investigation by the Senate Commerce, Science and Transportation Committee, where Rockefeller serves as chairman, and action by the U.S. Federal Communications Commission. In April, the FCC voted to require telephone carriers to provide their customers with more billing information in the agency's effort to crack down on cramming. Many telephone service customers don't recognize crammed charges on their bills for months or years, the FCC said then. Crammers often avoid detection with small charges -- as little as US$1.99 on a monthly bill.Fifteen to 20 million U.S. households are victims of cramming on their landline phone bills each year, according to the FCC. AT&T, Verizon and CenturyLink have taken steps to combat cramming in the past year, including decisions to stop allowing most third-party charges on phone bills, Rockefeller noted. His new legislation would ensure that all wireline telephone providers take the same steps, he said in a statement. "Unauthorized charges on telephone bills have plagued telephone customers for years," Rockefeller said. "With a couple exceptions, there's simply no justification for allowing third-party billing on wireline telephone bills to continue." The third-party billing industry was a "system rife with fraud," he added. The legislation also would require the FCC to work with the U.S. Federal Trade Commission to develop rules to protect mobile phone users. The rules would require mobile carriers to establish procedures to ensure that third-party charges appearing on bills were authorized by customers, and would create a way for mobile customers to be reimbursed for unauthorized, third-party charges. The FCC should move quickly to develop rules to stop mobile cramming, Rockefeller said. There were complaints about wireline bill cramming dating back to the 1990s, he said. "We had the opportunity to put an end to wireline cramming back then and we chose not to," he added. "Over the following decade, millions of consumers were harmed. Let's learn from the lessons of wireline cramming and address the vulnerabilities of wireless billing right now, before any more consumers are harmed by the shameful practice of cramming."